Photo courtesy of Noe Montes. Mily Treviño-Sauceda, vice president of Alianza Nacional de Campesinas, Inc., will discuss “The Power of the Collective Transforms: Women Migrants Raise Their Voices and Take Action” as part of the University’s 2018 Honors Colloquium on Reimagining Gender: Voices, Power, Action. 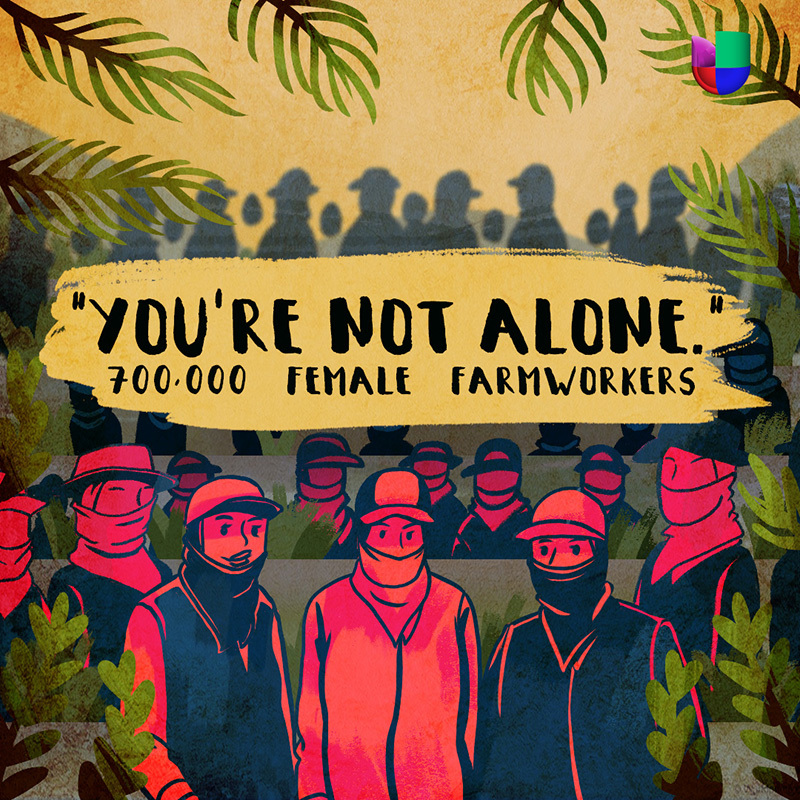 The series is free and open to the public and takes place in Edwards Hall, 64 Upper College Road at 7 p.m.
Treviño-Sauceda works with Líderes Campesinas as a member recruitment and orientation coordinator. She is known as the founder of the farmworker women’s movement in the United States. She is the third of 10 children, born in Bellingham, Washington, to a migrant farmworker family. At age 8, she started working in the fields with her two older brothers and parents in Idaho and as a teen and young adult, she continued working the fields in California. As a teen, she organized youth groups through her church. She has experience as a union farmworker member and organizer with the United Farm Workers in the 1970s and early 1980s, including the California Community Workers Union while working at California Rural Legal Assistance (CRLA). As a single mom, she raised her son Humberto, also known as “El Hijo de la Comunidad” (Son of the Community). She co-founded “Mujeres Mexicanas” (Mexican Women), in the Coachella Valley. She returned to school in 1991, and earned a bachelor’s degree in Chicano Studies and obtained enough credits for a minor in Women Studies, at California State Fullerton, 1997. With the support of the CRLA Foundation, she co-founded Líderes Campesinas, in 1992, a unique grassroots organization that became a statewide movement of Campesina leaders advocating on behalf of Campesinas. She became the first executive director with Líderes Campesinas; and after 12 years, she stepped down from the directorship in 2009, to go back to school. She earned a master’s degree in social sciences: Rural Development and Capacity Building, Women’s Leadership and Oral History at Antioch, Ohio, 2014. Since 2011, Treviño-Sauceda co-founded Alianza Nacional de Campesinas, Inc., a national farmworker women’s alliance representing 15 farmworker organizations and groups. She sits on numerous state and national boards, advisory councils and task forces representing Latinas, the farmworker community and immigrant women in general on health, violence against women, labor and women’s rights, education, environmental and gender issues. Since 2010, she has served as an advisory member to the National Sexual Violence Resource Center. Since 2015, she is a National Environmental Justice Advisory Council Member for the Environmental Protection Agency. She also sits on the board of California Latinas for Reproductive Justice. She is the board assistant secretary for the Rural Coalition and consults for and with various statewide and national organizations that focus on social, environmental, worker justice, reproductive justice and violence against women issues. In 2018, she joined the Fourth Cohort of the Movement to End Violence under Novo Foundation. She has received numerous awards, including “100 Heroines of the World” in 1998; Sister of Fire Award in 2003; the Ford Foundation & NYU award, “Leadership for a Changing World” in 2004. People Magazine recognized her twice in 2006. She was honored by Líderes Campesinas in California for her 30-plus years of distinguished leadership in 2009, the Equal Employment Opportunity Commission Community Service Award in 2011, the Cesar Chavez Legacy Award, March 2015; and honored by Farmworker Justice in Oct 2015; she was honored by Latino Justice, as a Latina Justice Leader, in June 2016. On Oct. 15, 2016, the World Women Summit Foundation recognized Treviño-Sauceda as one of nine laureates given the Prize for Women’s Creativity in Rural Life. In 2018, she joined the Novo Foundation’s fourth Cohort of the Movement to End Violence and many more recognitions. Reimagining Gender: Voices, Power, Action explores at this pivotal time in society, the relevance of gender in shaping human rights and how our rising consciousness about gender issues is leading to vibrant social discussions, rearrangements of power and perceptions, and new possibilities. The series includes lectures, exhibits, a theater production and a film screening, all intended to help demonstrate the significant impact of women in society and to deepen the conversation about gender roles and stereotypes and the impact they have on our actions. Coordinators of the 2018 colloquium, marking its 55th year, are Rosario Pisa, professor and director of URI’s Gender and Women’s Studies program; Kyle Kusz, associate professor of kinesiology; Helen Mederer, professor and chair of the Department of Sociology and Anthropology; and Smita Ramnarain, assistant professor of economics.